Germany sprang an upset of sorts by beating Ronald Koeman’s Netherlands at the Amsterdam. Serge Gnabry’s 34th minute wonder strike was the highlight of the first half at the end of which Jogi Low’s side 2-0. Netherlands fought back through goals from De Ligt and Memphis, but Germany stole it at the death thanks to Nico Schulz. 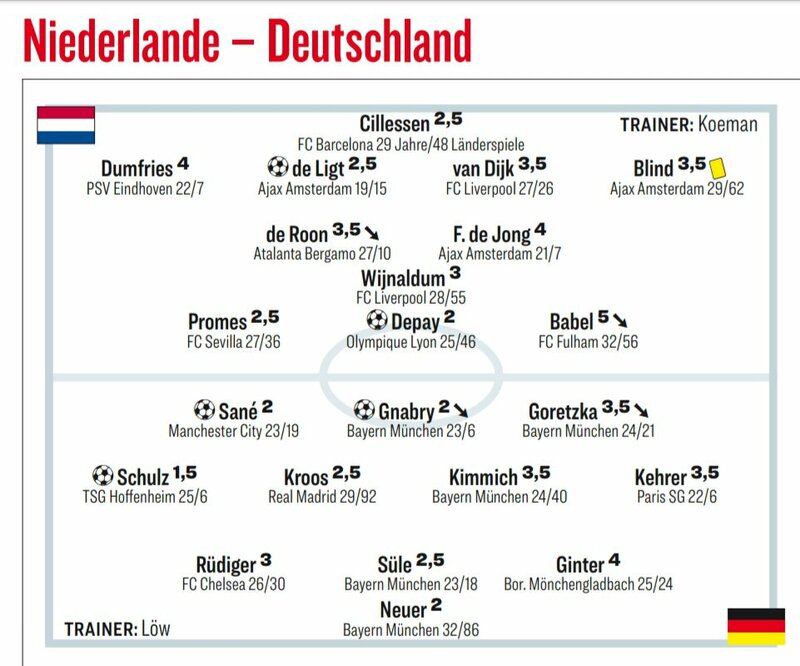 Here are the player ratings for the game courtesy the German media (Bild & Kicker). Leroy Sane, Gnabry and Schulz, as the scorers of Germany’s goals, were the best rated players. Sane continued from where he had left off in the draw against Serbia. 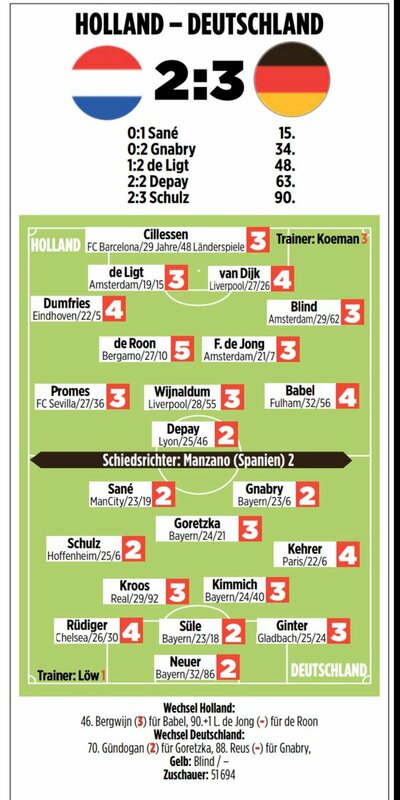 The best Dutch player on show, according to these ratings was Lyon’s Depay. The worst appeared to be PSG right back Thilo Kehrer, who got a 3.5 in Kicker and a 4 in Bild.